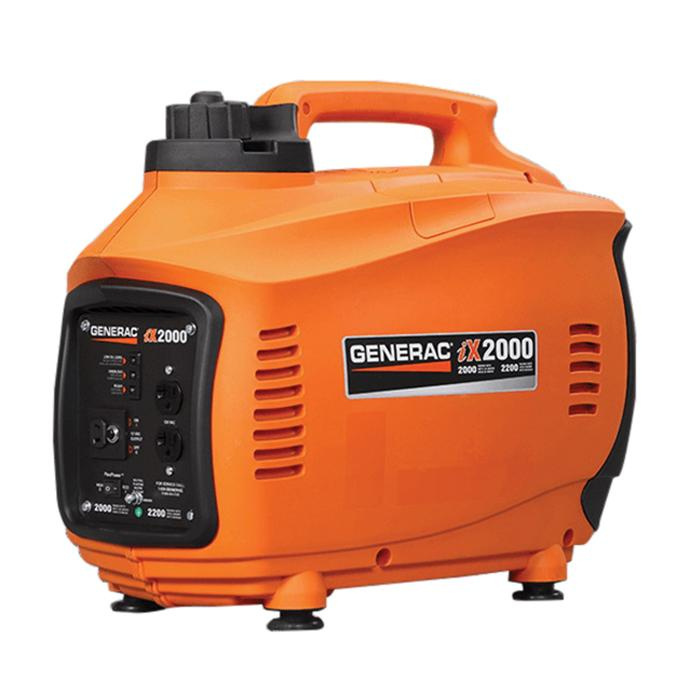 Generac iX2000 Series portable generator has current rating of 16.7-Amps and voltage rating of 120-Volt AC at 60-Hz frequency. At 25% load, the 127 cc OHV engine has run time of 4.7 hours. It measures 22-Inch x 12-Inch x 18-Inch. To indicate system status, the At-a-glance LED status lights are applicable. For added strength, the fully enclosed durable case is enabled. It has circuit breakers to provide electronic overload protection. Inverter technology creates quiet, clean power and FlexPower™ mode saves fuel and reduces noise. This lightweight and compact design generator enables easy portability. Fully enclosed case on the generator offers added durability and strength. This portable generator is suitable for commercial/residential applications.